LAWS | Time to Wipe Some from the Books? Is this law still on the books? New York City Councilman Corey Johnson was recently stopped and fined for doing something I have done many times–moving between cars on the NYC subway. He was given a $75 fine. His office said he has "utmost respect" for the NYPD and that he paid the fine. The A/C doesn't work–and the hope is that it works in the next car. Someone is, or several people are, making a lot of noise in the car. Time to leave. There is a terrible smell in the car. Also, the incident raises questions about "broken window" policing of minor offenses that is selective or enforces laws that shouldn't be illegal. Which brings up a lot of other laws that don't make sense. Maybe Councilman Johnson could look into other dumb laws that are on the books. Is it still true, for example, that "flirting" is illegal in NYC and is subject to a $25 fine? The law apparently applies only to men. A second conviction requires that the male wear a "pair of horse-blinders" whenever he leaves his home. If the law has been repealed, you wouldn't know it from the number of times it has been cited as an example of the craziness of NYC. Get rid of laws still on the books that don't make sense any more, if they ever did. 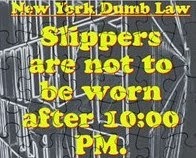 Publicize the ending of laws that give NYC a reputation for being weirder than it actually is. 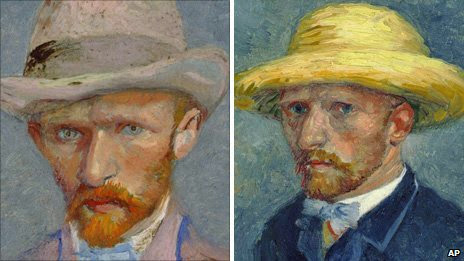 Vincent van Gogh, Self-portrait (L) and Brother Theo (R). Theo financed Vincent's painting career. Both died much too young. March 16, 2015–On this day in 1901, Vincent van Gogh's paintings were shown at the Bernheim-Jeune Gallery in Paris, his first major show–11 years after he died–with 71 paintings in the show. The exhibition made it easier for other avant-garde painters to exhibit, like Gauguin and Matisse in the coming years. Dealers often buy paintings and hold them until the marketplace catches up with the dealers' estimate of the paintings' value. The quality of van Gogh's art was well recognized by other artists and dealers during his lifetime. Vincent's brother Theo–his brother and an art dealer–gave him money to live on and to buy art supplies with. Even though Theo was an art dealer, historians describe the money he gave to Vincent as charity. Why? When Theo gave his brother money and at the same time took possession of the paintings, he was buying the paintings. Theo invested so heavily in Vincent's expensive art materials and provided enough cash for living expenses that Vincent could not be described as poor. Yes, The Red Vineyard, now rated the most valuable painting in the world after the Mona Lisa, did not sell until the year before Vincent's death. But before that he did sell a lot of his art–and the relatives who purchased it were connoisseurs. As mention, his art was greatly appreciated by other artists. Theo's charity could be considered an investment in Vincent's art. The detailed financial records now available do not show Vincent to have been poor. He spent freely on the materials for his art–paints, canvases, sketching supplies – in addition to the materials that Theo purchased for him at his request in Paris. On an impulse he purchased 21 volumes of The Graphic. As needed, he paid money for models–in 1882 he was paying his model Sien one guilder per day. He moved to where he felt inspired, and purchased what was required to settle in. When he moved at the end of his life to a rented house, the "Yellow House", in Arles he purchased 12 chairs for it. Three children of the grandfather of Vincent and Theo van Gogh, also named Vincent, became art dealers. Vincent's Uncle Cor commissioned 12 pen drawings from Vincent for 2.50 guilders ($20) each, i.e., for $240. In April 1888 Vincent wrote that he valued his best paintings at F1,000 each (about $4,000). The art world eventually met and streaked passed Vincent's own estimate of his paintings' worth. Vincent van Gogh had a short career as an artist – he started late and died young. This affected his ability to build up a reputation as an artist during his lifetime. But it also meant his art had scarcity value after he died. If he had lived longer his art would surely have appreciated in value during his lifetime, but an individual painting might not be so valuable today. Theo was well positioned in this business, dealing in the 1880s with Oscar-Claude Monet, Camille Pissarro, Edgar Degas, Henri de Toulouse-Lautrec, Paul Gauguin, Emile Bernard, Paul Signac, and Louis Anquetin. When in 1888 Theo sold Gauguin’s Breton Women Chatting for F600, about $2,400, it showed a strong demand for the work of the painters that Theo represented. Theo valued his brother's paintings and was well-informed about the art market, enough to know how and where he would sell Vincent's art in due course. Theo surely had every intention of making money from them. He didn't expect that first Vincent and then he would die very young. For him, investing in his older brother was an investment in a long-term, appreciating asset. The money Theo gave to Vincent wasn't a large percentage of his income and was not, for the most part, a great burden. Theo gave money to his brother affectionately and without any evidence of reluctance. I believe Theo's attitude is that he was investing in Vincent and was willing to wait for a return. Theo must have felt that, taken as a group, he and his clients couldn't lose by investing in his stable of artists. In retrospect, he was absolutely right. He might have even suspected that his brother's art would one day command a higher price than the art of any of the others. I don't think this detracts from Theo's generosity. But it does undermine the idea that Vincent never sold any paintings. His brother Theo was implicitly buying them, one by one, on consignment. I'm not basing my contrary perspective on a hunch, but on the letters of Vincent and Theo about their yearly profit and loss. 1888. Theo reassured his elder brother not to worry about debts: "You talk about money that you owe me and and that you wish to pay back to me. I know nothing of that.” Why not take him at his word? He kept track of his spending so that later he would have a basis for claiming ownership of some of the paintings he acquired. Others he might sell and just keep the dealer's commission. In Arles, the sums paid to Vincent rose considerably, to about about F2,300 ($9,200) between his arrival on February 20 and and Gauguin’s at the end of October. Theo also paid for much of the paint and canvas that Vincent needed. He appears to have promised Vincent F50 a week. When Gauguin was visiting, the five remittances were for F100 ($400), plus an emergency payment of F100 before that, so the total from the end of February to the end of 1888 was F2,900 ($11,600), about what Vincent seems to have spent on furnishing the Yellow House. The F250 ($1,000) a month he had to spend compares favorably with the F135 ($540) a month that his friend the postman, Joseph Rollin, had to feed his family of five. From May 1888 on Vincent spent F30 ($120) a month for his hotel and F15 ($60) a month to rent the Yellow House as a studio. He ate his meals in a restaurant for F1.50 ($6) a day. In May-September he paid F90 ($360) a month for bed and board (excluding the bar bill). That fell to F60 ($240) a month in the Yellow House. The cleaning woman was at first paid F4 ($16) a month, which rose to F20 ($80) a month when Gauguin was staying there. So Vincent had F100 ($400) over for the rest of the month and F130 ($520) when he moved out of the hotel. Without discounting Theo's love of his brother, there is no need at the same time to assume that his support of Vincent was strictly charitable. He knew quality paintings and he knew he was getting value for money. So the talk about "only one painting being sold" omits the fact that so far as Vincent was concerned his work went right out into the hands of a friendly art dealer, who gave him enough money to support himself well. The Tax Foundation, which often encourages states to lower their taxes, produces many comparative tables that interest me. 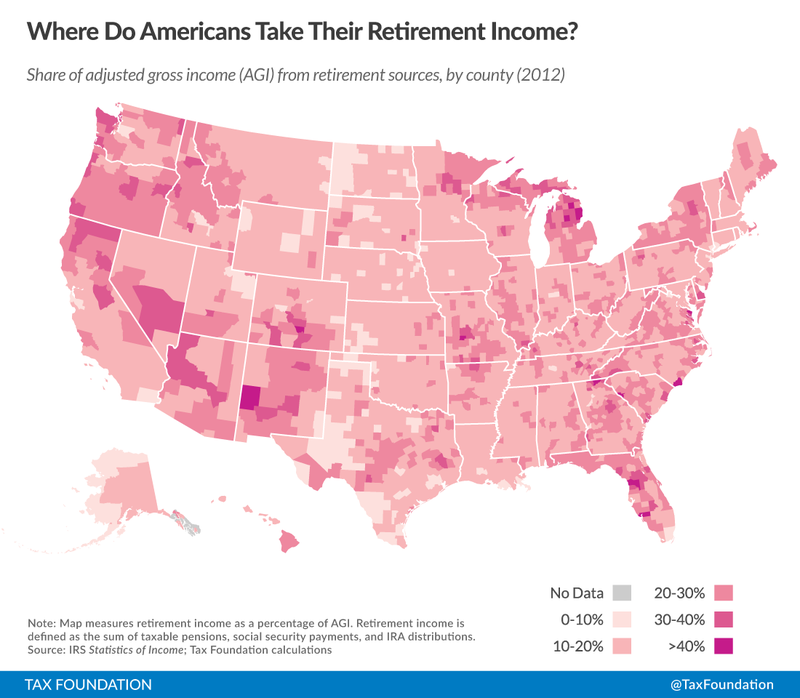 This week it compares U.S. counties based on the percentage of the revenues of residents derived from retirement income. The data from 2012 IRS records include all forms of taxable pensions including Social Security and distributions from IRA accounts. The three most gray-dependent (my term) counties are, naturally, in Florida - Sumter (45.6 percent dependent on retirement income), Charlotte (33.8 percent) and Citrus (33.2 percent) counties, all on Florida's Gulf coast. Northern Michigan and the Pacific Northwest are the other two areas of the United States that are the most gray-dependent. On the Atlantic Coast side of Florida, the most gray-dependent county is Flagler (29 percent). The other counties along the coast that are at least 20 percent dependent on retirement incomes are Volusia, Brevard, Indian River and St. Lucie. MED BIZ | Why Are Psych Aides Hurt More than Technicians? 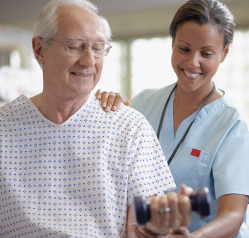 A new article by Jacqueline Longton of the BLS in its Monthly Labor Review reports that psychiatric aides and technicians have much higher-than-average rates of nonfatal occupational injury from patient violence. They also have higher-than-average overall 2011 occupational injury and illness rate. Psychiatric technicians suffered a rate 38 times higher than the national rate of workplace violence and their overall national rate of injury and illness was four times the national average. Psychiatric aides suffered a violence-related injury rate 69 times higher than the national rate and their overall national rate of injury and illness was seven time the national rate. This information is from the BLS Survey of Occupational Injuries and Illnesses (SOII). Employers are required to maintain records of their workplace injuries and illnesses according to record-keeping requirements of the Occupational Safety and Health Administration (OSHA). The threshold for inclusion in the database is taking one or more days off from work, whether in privately owned or state and local government facilities. Few violent incidents are fatal - in 2003-1011, these occupations combined had four violent fatalities. Psychiatric technicians provide therapeutic care. They have more training. They obtain a certificate or degree typically from a community college or technical school that offers courses in psychiatric or mental health technology, often including supervised work experience or cooperative programs for academic credit–psychiatric technicians have at least one semester and may have two years of course work leading to either a certificate or associate degree. They may be better prepared for the mental and emotional strains associated with patient contact than psychiatric aides. Psychiatric aides help patients in their daily activities and ensure a safe, clean environment. Psychiatric aides need a high school diploma or equivalent only. They are not required to have any specific certification or psychiatric course work. They have more direct patient contact, and this may be the simplest explanation of all. It may be useful for patients as well to know the difference between the two kinds of jobs and who is likely to be providing the care. The euro sank below $1.05, a new 12-year low, last night briefly, before recovering above $1.06. As the markets reflect Friday's good BLS report on U.S. jobs and unemployment, the likelihood of higher interest rates in the United States later this year is being discounted. Money is flowing into dollar bonds out of bonds in Europe, where yields are falling. The strong dollar is good for American tourists in Europe (not so much Britain, as sterling is also strong). 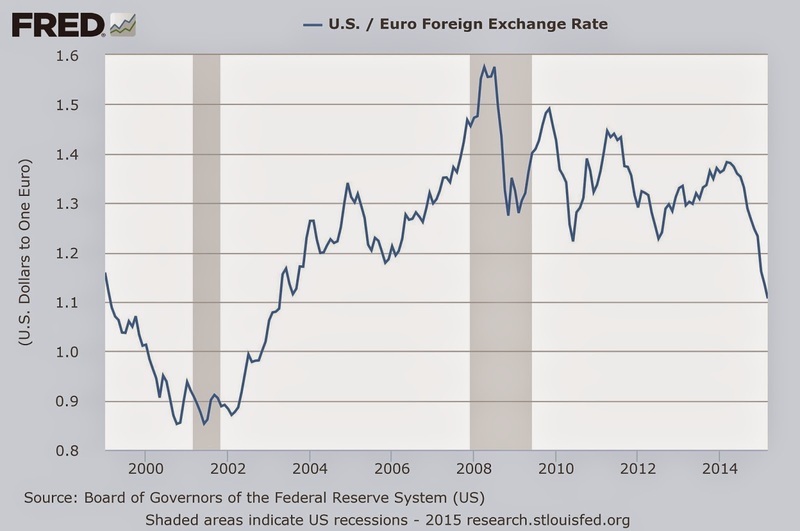 It is also good for the ailing European economy, as is the U.S. recovery. All eyes are now on the Federal Reserve, which has had its hands tied since 2008 trying to help the U.S. financial markets recover - with near-zero Treasury bill rates and then a quantitative easing program to try to lower bond rates. Europe and Asia are worried that if the Fed's likely move to higher rates within a few months is premature, it will damage the recovery in the United States and world-wide. 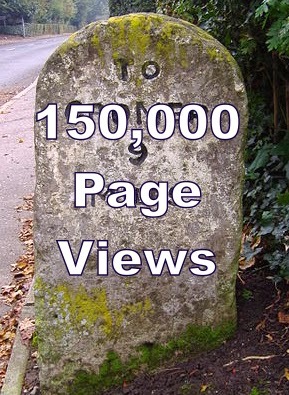 In 30 days, CityEconomist has attracted 10K Page Views, a rate of 120K/year. Thank you for reading. TECH STARTUPS | Does Location Matter? Correct, although in another article the company expresses concern that it doesn't have enough "good" applicants for the jobs it needs to fill. But being in the right place improves your odds. In his case, the company he has co-founded, Leadnomics, describes itself as seeking to improve the market for insurance. "Lead" not as in the heavy metal but as in someone for an insurance agent to try to reach. Philly is not known as an insurance headquarters (try Hartford, Conn. or Newark, N.J. if you want to avoid Manhattan but stay close to NYC). 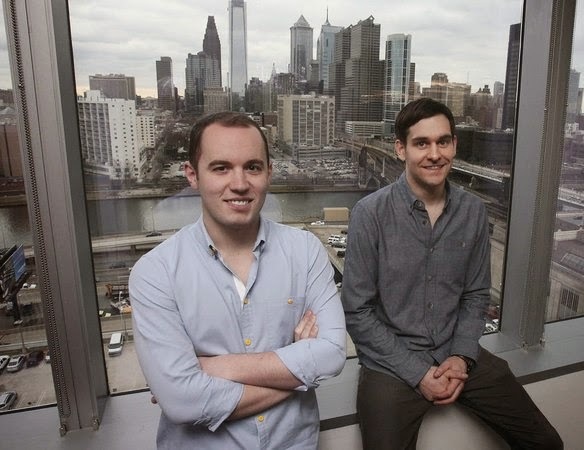 But Philadelphia has something else going for it - it is the home of the Wharton School of the University of Pennsylvania, ranked one of the top three business schools in the country (along with Harvard and Stanford). Robbins refers in general at the end of his article to the value of having a university nearby. But he doesn't just have a university nearby with a top business school. He has a university with a business school program preeminent in the field he is trying to sell to - the Wharton Risk Management and Decision Processes Center. Prof. Howard Kunreuther, for example, is widely known for his studies of imperfections in markets for insurance, such as flood insurance for homeowners. This program could give his startup some traction. The focus of many economists has shifted to psychology because people don't actually make decisions, for example about insurance, as if they are rational. A startup that improves the functioning of the insurance marketplace - to begin with, by suggesting the right buyers to the right sellers - would be a great social contribution as well as offering the potential for a good ROI. The 295,000 payroll-jobs increase is well above expectations for jobs. Job numbers for January were revised down by 18,000, lowering the base, but even so, the increase suggests a breakout for the economy. This increases concern about the impact of the Fed moving earlier to higher interest rates. Some Fed officials think the February 5.5 percent unemployment rate is full employment. Professional and business services accounting for one-fifth of the growth. This sector has added 660,000 jobs during the past year. Key growth areas are management and technical consulting services, computer systems design and related services, and architectural and engineering services. Construction, adding 29,000 jobs in February, despite worse-than-normal weather in parts of the country. (The BLS in a note says that unusually bad weather affects earnings more than employment.) Employment in specialty trade contractors rose by 27,000, mostly in the residential component. Health care services, continuing to rise by 24,000 jobs, with gains mostly in ambulatory care services, with fewer gains in hospital jobs. The increase is lower than the average over the past 12 months. This number is an indicator of the net impact of Obamacare. Earnings growth was slow. (The recent announcement of raises for workers at Wal-Mart and other large employers has yet to show up as significant changes in earnings data.) The full BLS report is here. Table A-6 shows the labor force participation rate rising year-over-year in February for men (to 81.8 percent from 81.4 percent for adult men without a disability) and declining for women (to 69.9 percent from 70.5 percent for adult women without a disability). It also rose for disabled people of both genders, to 19.8 percent from 19.1 percent. The overall good news is that the U.S. economy is continuing its momentum. This is a relief for the rest of the world, which depends heavily on the U.S. recovery. The downside is that the Fed will be poised to raise interest rates - from its existing near-zero level - sooner rather than later (June rather than September). In the zero-bound range the Fed has little room for positively affecting the economy - its foot is all the way down on the pedal. Letting the pedal up gives it room later to be helpful in a downturn. The 295,000 payroll jobs increase is well above expectations for jobs. This post is superseded by this one.